Ramly another masterpiece product the "chicken ball". I am hoping they would make fish ball too. 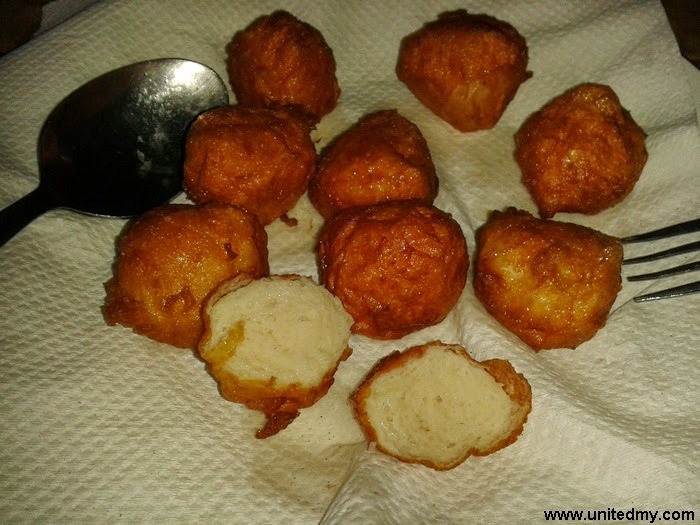 Chicken ball is rather big in size than fish ball. I predicting Ramly would introduce fish ball in coming years. They should make a factory in Sabah or Sarawak, purchasing high-quality low-cost fishes and sell it nationwide. East Malaysia is the only place where Ramly company could get cheap but fresh and quality fishes to increase business profit. Ramly is quite popular due to it successful sales in burger meat business. McDonald's could be number 1 franchise burger restaurant brand, guess which is no 1 local brand in restaurant burger business ?? It would be certainly Ramly brand. Everyone who ventured in burger business are using Ramly burger meats. Ramly burger meat usually packed with 6 pieces and sell RM5-RM7. In order to make it tastier, I dipped it into egg and flour just like how to marinate chicken wing and drumstick. 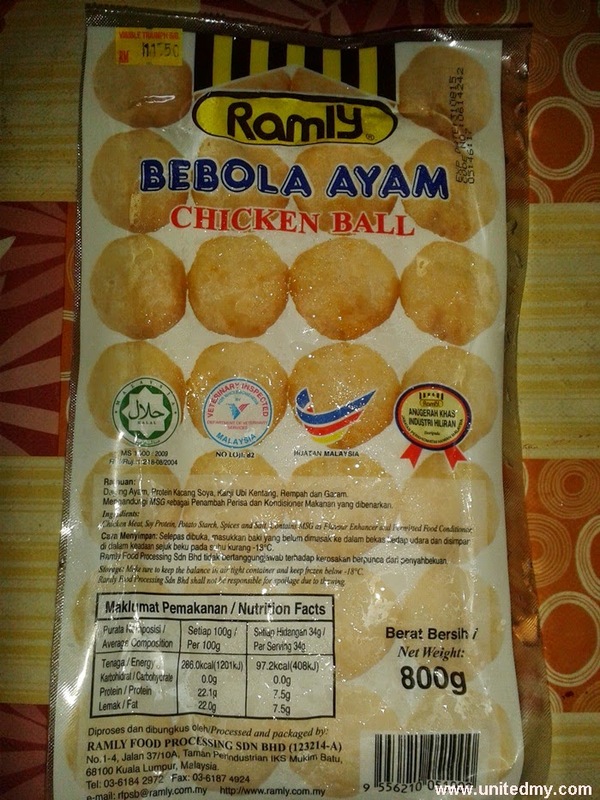 The taste of Ramly chicken ball is firm and full of juicy nutritious. You should have opt to purchase if you have time cooking at home. Let say you eat 10 chicken balls a day. You will need 6 days to finish one pack priced at RM 11.50. Let break it down further, 1 chicken ball equals to RM0.20 only. If you eats 10 of it, you should have spent RM2.00 only which is quite reasonable.